Jonathon who has studied the ancient art of being a Court Jester. 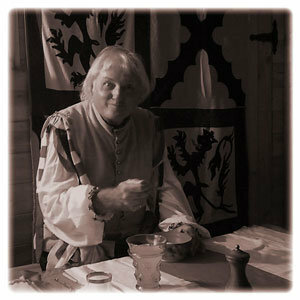 Stories and jokes are told from the Royal Court of England over 400 years ago and dresses up for each special occasion. Jonathon’s style of storytelling brings some humour and light relief to the evenings. His engagement is always well received and as he is quite interactive with the audience expect a great night when Jonathon is scheduled to turn up.